Update: Date of first eBook changed from Sep 24th to Sep 3rd! Earlier today, we made the announcement on twitter that there would be FOUR Divergent short stories released from FOUR's perspective. 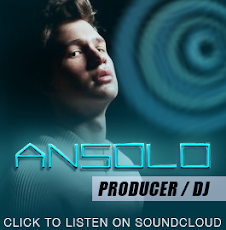 The covers haven't been released yet so we've made some mock-ups above. From HarperTeen: "More Four! 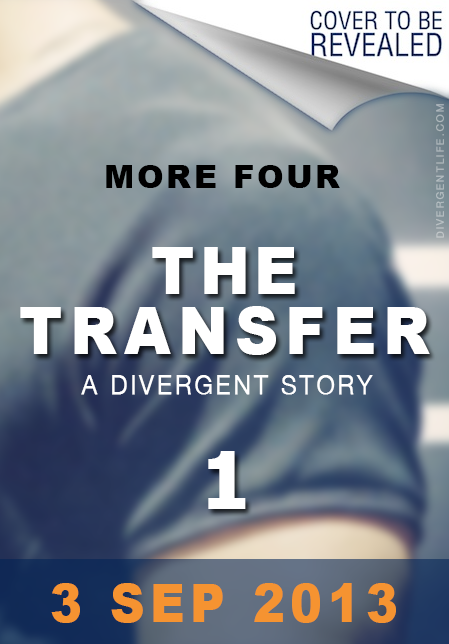 Fans of the Divergent series by #1 New York Times bestselling author Veronica Roth will be thrilled by "The Transfer," the first of four new short stories told from Four’s perspective. 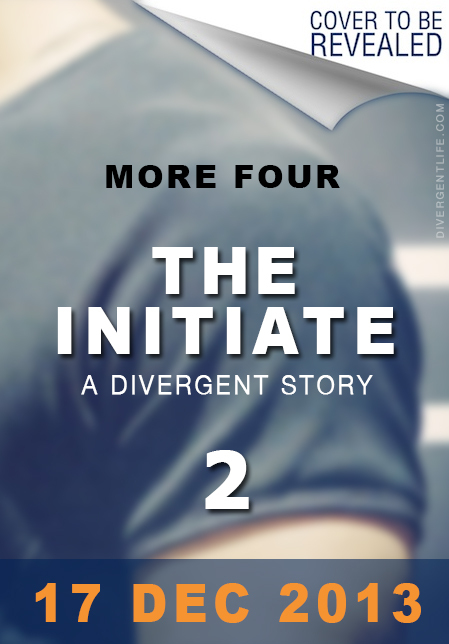 Each brief story explores the world of the Divergent series through the eyes of the mysterious but charismatic Tobias Eaton, revealing previously unknown facets of his personality, backstory, and relationships." 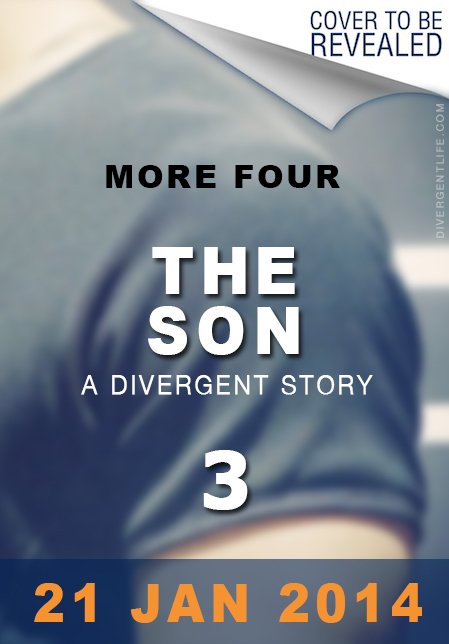 The four stories will all be in ebook format, before eventually being released in one bind-up paperback edition: Four: A Divergent Story Collection, available on February 11 2014. The previous short story 'Free Four' released last year, will also be included in the paperback. Buying and pre-ordering options HERE. From Veronica Roth: "When my publisher approached me hoping that I would be able to write some extra Divergent content for them, I considered a few options for what I might write about, or whose perspective I might choose. Over time it became clear to me that the character I was most interested in exploring further was Four. Two reasons: first, I know his perspective is the one a lot of you are interested in reading (I get asked if I’m going to write anything else from his perspective all the time! ), and hey, you’re my readers and I like to write things you want to read; second, I was excited by the idea of expanding my own understanding of him, the way I did when I rewrote the knife-throwing scene from his perspective for the Free Four e-short. 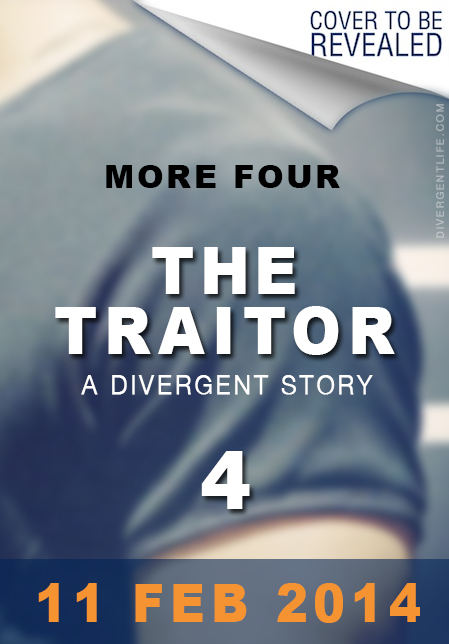 For me, Four has never just been Tris’s love interest or a way for sexual tension to enter the story. He has always been a whole person with a history that affects him (and Tris) in significant ways, and a co-mover of the plot along with Tris. These stories are helping me to delve into his character in a way I never have before, and to build up parts of the world that Tris never experienced due to her limited perspective. 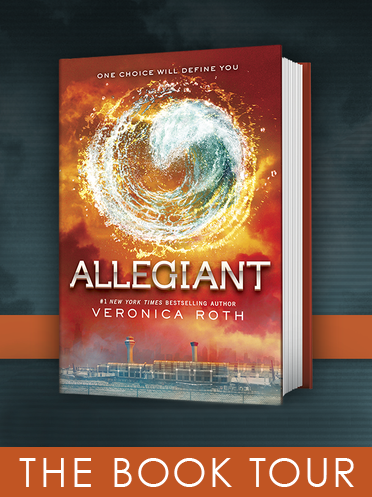 Interestingly enough, they also affected the content of Allegiant, giving me more to draw from—awesome, right? These stories will be longer than Free Four (Four’s retelling of the knife-throwing scene, which was only thirteen pages), and the first one will be out on September 24th 3rd. 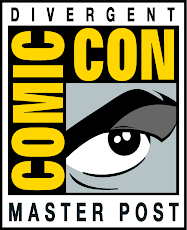 You can learn more official info here, too. And of course, I’ll keep you informed of the other stories as information becomes available, too."